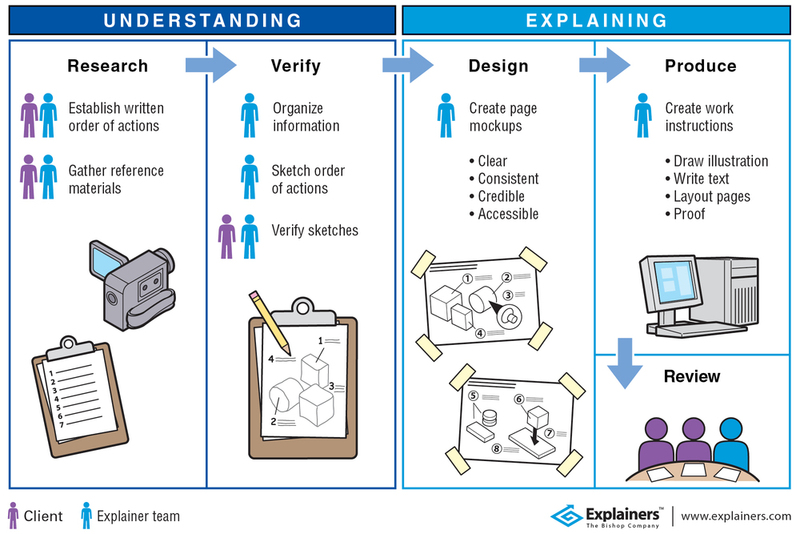 Explainers™ creates visual solutions that explain complicated processes. These solutions have increased productivity, reduced error and minimized waste for manufacturing, government and healthcare clients. What are Visual Work Instructions? They are knowledge transfer of standard work practices via a visual aid. Their graphic nature allow users to see what the end product looks like and what steps they need to get started. Poster-sized operation instructions that clearly documented standard best practices were hung in each work cell. Waste was greatly reduced. Secondary inspections were eliminated. A food processing facility had a large number of English as a second language (ESL) employees, who were having trouble comprehending text-heavy standardized work instructions. With illustrations explaining the process, ESL operators could understand and perform the work correctly. In addition, Performance improved for workers of all languages. Translation costs were reduced (fewer words, lower costs). Workers were required to remember maintenance procedures for equipment they didn’t work on regularly. We created visual quick-reference guides that were easily accessible. These allowed workers to accurately perform the procedures, which extended the life of our client’s capital investment. 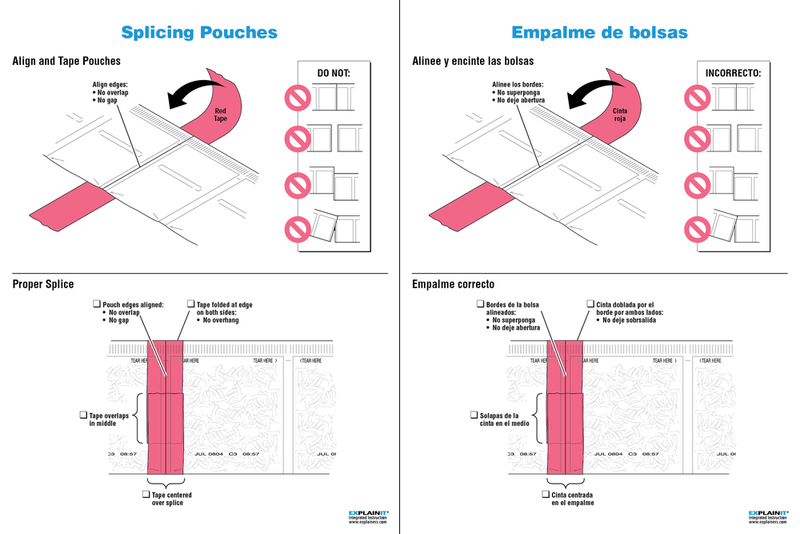 We eliminated the need for translating steps by creating a quick-start assembly guide that uses illustrations to clearly explain. Stryker drastically reduced translation costs and the associated costs related to managing, printing and updating the multiple files. The format used shows a series of steps that appear similar but are different. The use of arrows, numbered steps, and the general layout are all designed to alert the nurse to a sequence of steps that must be performed exactly as instructed. Explainers was the kind of job that you never forget. I joined the team as an illustrator shortly after graduating from Western Michigan University. Each project brought a continued sense of curiosity and a hunger for discovery in the design business. When a major client contacted us for a project in Puerto Rico, the management was open to give me an opportunity and become more involved. This project was highly successful both in revenue and in the surpassing of our clients expectations, it was this project when I experienced how crucial all participants were to meeting those expectations. I learned that communication needs to be open, meetings need to end with a goal in mind, designers and customers need to meet so that information is not being lost in transition, finally, trust and understand that each member of the team has a role as a subject matter expert.